Each house has its own story, a story of the people who identify themselves within that space and is their own creation. It’s our own story, crafted by our own inspirations, tastes and experiences into what we call our home. A trend that is picking up in the kitchen is exploration of the physical characteristics of the materials being used. In the ‘new’ kitchen, textured materials are being preferred to the more traditional smooth finishes. 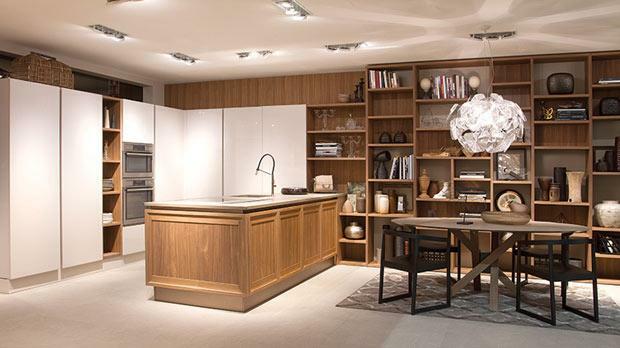 During the most recent Eurocucina, Veneta Cucina showcased a range of kitchens that embrace a ‘wood grain style’, where the texture of wood and wood effect left an impression in exhibits and models displayed. At Fino, working with one of the most versatile kitchen manufacturers in Europe and having an in-house interior design department, customers can truly express their personality through their living environment. Fino allows (and encourages) customers to move away from ‘off the shelf’ models and to develop a space tailored to you. This fun and exciting process allows customers to be the main drivers behind their design, rather than the manufacturer. Having the house of your dreams is now made closer than ever, expressing glamour, functionality and, above all, practical use.